Political instability is all too common in today’s world, and in many countries the usual means of changing regimes is not by elections but by coups d’état. In the period 1966-1986 alone, more than 50 successful coups occurred, taking place in every region of the globe. Coups thus pose an obvious hazard to Orion Foundation agents in the field. Knowledge of how, when, and where a coup might occur reduces that hazard considerably. In its war against the Web, Orion sometimes intervenes in an attempted coup if it appears to be Web-controlled. However, it is the policy of the Orion Foundation to respect the sovereignty and independence of all countries; Orion neither initiates coups nor intervenes in coups that are not known to be Web-controlled. When preparing for a nation’s overthrow, the Web either infiltrates the government elite (if the Web has a strong business and financial presence) or else disrupts the government (through terrorism, encouragement of insurgency, propaganda, etc.). A coup d’etat is the infiltration and subversion of part of the armed forces or security apparatus of a nation, using that faction to overthrow the government. The purpose of the coup is always political, but its methods are politically neutral; there have been left-wing as well as right-wing coups. The social and economic condition of the country must be such that only a limited number of people – the elite – can participate in politics. Under such conditions, political legitimacy is fragile. The deprived masses will accept any change in government, legal or otherwise, knowing that their own lots will probably not change. Much of the Third World meets this criterion. In countries where the masses can participate effectively in politics, a strong sense of political legitimacy among the masses, leading to widespread resistance, will probably defeat any coup. Additionally, if a country has experienced an economic disruption or military defeat (or both) such that the existing government is totally discredited, a coup is possible. A country must be politically independent. If a stronger power is willing and able to intervene against a coup, the coup will fail (as happened recently in Grenada). To succeed, the coup plotters must first secure the cooperation of any strong outside power that might oppose them. The 1963 coup in South Vietnam that ousted Diem (with tacit US approval) is an example of such a situation. A country must have a center of power that can be seized. In most countries, this will be the capital city. First, they must identify all forces that could intervene in the capital while the coup is in progress. In addition to military units, such forces could include paramilitary police, civilian militias (belonging to labor unions, students, and political parties), and other armed groups. All such forces must be dealt with, either by incorporating them into the plot or by neutralizing them through the use of infiltration, sabotage, roadblocks, or defensive warfare. In general, the more advanced technology a unit uses (such as electronics or aircraft), the easier it becomes to sabotage the unit – but the deadlier the unit is if it can attack. Second, they must identify the means of communication that they will use after they have established themselves in power. This should be the means that the public most closely associates with the government. In most Third World countries, this will usually be the government radio station. All other communication facilities (telephone, radio, television, etc.) must be neutralized through sabotage. Third, they must identify the persons who must be detained or eliminated during the coup. This category includes the head of the government (usually a president, general, or prime minister), defense minister, armed forces chiefs, police minister, and anyone else who controls an intervention force or could rally opposition to the coup. Ceremonial heads of state need not be arrested unless they can rally opposition; if they can be manipulated, they will be useful to the new regime. Fourth, they must identify the buildings and other physical facilities to be sabotaged or seized. This includes the royal or presidential palace, the capitol, communication facilities, the homes or offices of the people detained or eliminated, the airports, and any other locations as required. Once they choose their areas of operations, they must plan how to isolate them. These areas should include all the buildings and facilities to be sabotaged or seized. All approaches to each area must be sealed with roadblocks. Finally, they must recruit the necessary personnel to execute the coup. Two types are needed: strike teams (to seize targets, make arrests, man roadblocks, etc.) and technicians (to conduct sabotage). The initial approach to each recruit should be made by a cut-out – an expendable participant – rather than one of the coup leaders. Typical criteria checked for when approaching a recruit include his political opinions (it helps if they match the coup’s), his career pattern (men who have been promoted more slowly than their peers are often ideal), his leadership potential (his unit should follow him into the coup), and other data, including religion, ethnic background, and so forth, if appropriate to the coup’s goals. The potential recruit should be told that his own role will be limited and specific (without going into the actual details of the task), and he should be assured that most of his unit has already joined the plot (regardless of whether or not this is true). All of this will make the recruit feel more secure and lead to his easy acceptance of the idea of a coup. Coup plotters have two approaches in recruiting units. They can either subvert entire units, such as battalions, or they can recruit fragments, such as platoons and companies, from a number of units. The first method provides greater security prior to the coup, since the men know each other and will be on the watch for informers and infiltrators. The second method minimizes the risk that someone within the coup will usurp control from the leaders, since the troops are unused to working together and the officers are usually of similar rank and are unwilling to defer to one another. The second method also has the advantage that, when the coup is underway, the government cannot be sure which units are still loyal to it. Recruiting should not be attempted in units organized by the government for political reliability. These ultraloyal units must be dealt with during the coup itself. 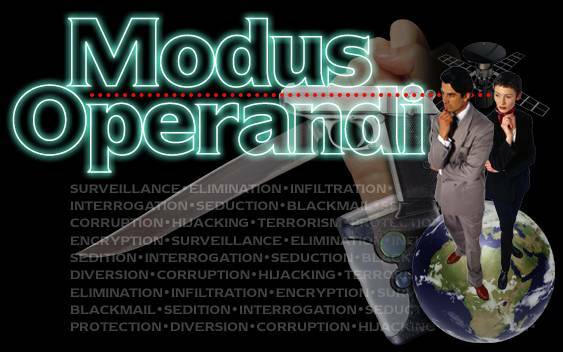 The Web assists coup plotters with recruitment (using bribery, blackmail, kidnapping, or entrapment to persuade the recruit) and with security, by infiltrating the security apparatus and assassinating potential informers. The starting time for the coup will be the hour at which the insurgent forces will be detected by loyalists, which is largely a function of how conspicuous the coup’s action teams are and the distances they must travel to reach their targets. The first teams to go into action will be the ones sent to arrest people, since only these targets can escape. However, these will be the smallest teams (probably no more than a truckload each). A similar-size team should be sent to each of the facilities the coup will sabotage rather than seize (primarily communication facilities). The largest teams, the ones that will seize buildings and set up roadblocks, will be the last to move. The teams in this last group should receive any available heavy weapons (such as armored vehicles), since their real function is to intimidate the loyalists rather than fight them. If possible, units should move at night to conceal their numbers and increase confusion for loyalist forces. Revolutionary forces should do a minimum of actual fighting, both to reduce the risk of coup forces accidentally fighting each other and to keep the loyalists confused. With the leadership arrested and the communications seized or sabotaged, the orders issued to loyalists would take an irregular form. Revolutionary forces should claim that they, too, are following orders and urge caution to their comrades. Every hour of loyalist delay works for the coup. Once the coup plotters have seized their targets and broadcast their victory, loyalists will probably give up. However, the ultraloyal formations such regimes maintain will have to be dealt with on the barricades, as the likelihood of their surrender is low. Large action teams (the ones that seize buildings) should be broken up as soon as their mission is accomplished; they should then be sent to set up the roadblocks. During a coup, all teams must be kept busy; otherwise, they might overthrow their own leaders. The Web ensures the success of its coups by using Web assassins to eliminate the human targets of the coup. It also encourages personnel in strike teams to greater effort – at gunpoint. The Web also freely provides hardware and support to technicians, as well as a few heavy weapons, if greater firepower is needed to intimidate loyalist troops. When the Web is behind a coup, it assigns a Web Operations Manager to direct events. Once the coup has succeeded, it must announce the fact to the nation as quickly as possible. The first communique from the new regime, in addition to denouncing its predecessor, announces the security restrictions that will be placed in effect. At minimum, these will include a rigorous curfew, a strong military and police presence in the capital, and a ban on air traffic. Banks may be closed. Frequent identity checks may be required, and news will be censored or unavailable. Public gatherings will be prohibited. All this makes life hazardous at best for Orion agents engaged on missions in the area, but if the Web is behind the coup, the situation becomes even more dangerous as the Web and the new regime hunt them down. Ironically, in countries where Web-controlled businesses have large holdings, the new regime will (insincerely) denounce the corporations, if the coup was dominated by the Web. Harsh criticism of foreign-owned corporations is standard after coups, especially in the Third World. A coup is a particularly unpleasant surprise. The Orion Foundation tries to avoid such surprises through a combination of surveillance and intelligence-gathering of other types. Direct action, where practical, is also used; Orion fights Web-influenced coups in countries at all levels. Sometimes the Foundation must act indirectly, using the resources of the corporations that contribute to Orion. The following are often make business decisions and investments with the sole purpose of countering Web influence in a country subject to frequent coups. Orion maintains a close watch for the presence of high-level Web agents in countries vulnerable to coups. Sometimes a Web operation of great importance will be handled by a Director or senior Operations Manager in person. If Orion can spot these people, it has an opportunity to terminate or capture them. The Foundation often conducts an analysis of a country’s officer corps similar to that done by the Web as noted above. Continuous surveillance is placed on soldiers and officials believed vulnerable to Web influence. If necessary, their homes and offices are bugged so that their dealings with the Web can be recorded. Such men are driven out of the conspiracy by the threat of exposure. Orion monitors military and government signal traffic; a sharp increase in the amount of traffic may be a sign of an impending coup. Orion recruits reliable local citizens to watch suspected coup targets, persons as well as locations; these local agents normally perform no other task. The residences of such persons will be specified by Orion and will be chosen to make their common Orion strategies: task easier. If an analysis indicates that a coup may be attempted shortly, these people will be alerted to watch their targets and report any suspicious activity. Their Orion case officer will then broadcast a warning to Orion agents. To maintain security, the case officer will represent himself to the locals as an agent of their government. Instructions and salaries will be passed to these people via dead drops. If practical, they may be given legitimate jobs in a local Orion company. Each local surveillance personnel will be issued a communicator similar to the SW1 that does not operate on the frequencies routinely used by the government, to minimize the risk of detection. If necessary, an Orion agent will be placed inside the security services of the government, effectively becoming a double agent. This agent will then be able to pass on to the local government Orion analyses of the situation and any warnings received. Infiltrating the security services is, of course, a highly risky stratagem. In extreme cases, Orion may send a Titan Team to a country threatened by a coup. The team’s job will be to rescue or prevent the capture of persons capable of organizing effective resistance to the coup. Although this is the most dangerous stratagem of all, it has a good chance of success because a Titan Team is far better trained than average soldiers and because the Titan Team may well outnumber the coup action team sent to arrest the target. Other possible missions for a Titan Team include impersonating military or police officers to rally loyalist units and using clandestine communication facilities for the same purpose. A Titan Team is authorized to act as it sees fit in such situations. In general, a Titan Team will avoid any confrontation with a building-seizure or roadblock action team, as the latter will probably have enough firepower to defeat the Titan Team. Finally, in all countries in which it operates, Orion maintains several safe houses. These can, of course, serve as refuges for agents caught off guard by a sudden coup.